The Think Tank Directory will remain a sticky topic.� Members can now leave thier calling card, another way to be found and be seen. Keep all Directory listings in this thread only! Directory Listings ONLY in this thread. This is an option to market yourself to everyone on the network, old and new. The Small Business Think Tank is being innovative with this directory. Holy Crap - Look at all these professionals! What are you waiting for? Stop reading! Post your business in the thread now! The Eagle: Motivating Champions Around The World I am Rchard "The Eagle" Motivator. I am a Independant rep for a World Class Business called Send Out Cards. Please click the 2nd Link in my Sinature Block to learn more about this Great Business. Remembering your Loved Ones and Friends with Greeting Cards from the Comfort of your Own Home for less then you would pay for cards from a retail Store. Blake Raab Blake's Sublime Designs produces quality customized promotional products and gifts. If you can see it on a computer screen, we can put it on a product! Visit the link in my signature to see hundreds of products that can be fully customized. selling your work on my products! Promotional Advertising & Industry Networking - No P.A.I.N, no gain! Let me help you grow your businesss! Defensive Countermeasures provides client tailored services which will serve any business or family community. Judy Schwind Schwind Bookkeeping -- Part Time Bookeeping for Full Time Businesses. Schwind Bookkeeping & Notary Service provides affordable accounting, bookkeeping, payrool, tax and notary services for small businesses. All small businesses have the need for a qualified bookkeeper. Some owners want to do this themselves but do not have the experience, knowledge or time to do it themselves. We offer a host of different services for the small businesses of Western Washington. We customize packages that are right for you. There is no need to pay for services you don't need. That is why we will assist you in finding the best economical package to suit your business. We will do that by listening to what you are looking for, examining your business structure and applying the correct accounting method to maximize your business' bottom line. Our goal is to help new or small businesses get set up with a computerized accounting system (preferable Quickbooks or Peachtree) and take the pressure of the day to day bookkeeping functions off their shoulders. We find that most one-person businesses have no time to keep their records properly, they do things by hand and wind up giving their $150/hour accountant a bag of 'stuff' once a month. Pay your accountant the big bucks to do your tax return or better yet let us assist you there as well. Let us do everything in between for LESS! Client Relationship and Alliance Building. I am available to discuss your business planning needs and can be contacted at 813-389-2725. Tracia Roberts, MBA Virtue Business Consulting, LLC is your full service accounting and tax firm. We specialize in providing "first class accounting, tax and business services". Why settle for coach when you can have FIRST CLASS at coach prices? Our mission is to reduce your taxes and expenses while increasing your profits and cash flow. All services are based on your budget and needs. Accounting Services-Use us for internal audit and analysis at month end, as a back up for the work you do or we can do all your bookkeeping for you. Monthly retainer so you know how much you will pay. Every third or sixth month we re-evaluate your contract to determine if you should be paying less than the initial consultation agreement. This allows seasonal companies to adjust their accounting needs to pay less during their low volume months. We provide FREE quotes on all our services. Tax Services-Tired of waiting at a tax prepare's office? Use Virtue Business Consulting, LLC. We provide mobile tax preparation with efiling and electronic deposit of your return. Don't pay anything upfront, your tax preparation fees will be automatically taken out of your refund. We also provide you with a full analysis of your tax return with ways to reduce your taxes (individually and professionally), frequently missed deductions and more. Business Services-Full service for word processing, database creation/management, spreadsheet with advanced graphs, powerpoint presentations and much more. We conduct quarterly training sessions on how to start a business and provide business consultation. Need help figuring out QuickBooks, we can train you in person or via phone. We have access to all QuickBooks software. Not using QuickBooks, don't worry we can provide you with discounted software up to 20% with FREE shipping. Best of all, no matter where you are located (within Indiana or outside of Indiana) our services are available to you. No problem call us and we will show you how easy it is to still have access to top notch service. We don't want to have you as just another client, we want to build a lasting relationship. Find out more about Virtue Business Consulting, LLC and the owner by logging onto our website or send us a message and we'll call you. Over 18 years business experience with corporate 500 companies. ...and founder of the Feel Free to Prosper program, in which I mentor and teach simple, yet powerful prosperity principles based on Universal laws. My students, from around the globe and from all walks of life, are enjoying remarkable success applying my lessons and participating in my private and group sessions, teleclasses and audio programs. Some of my students even come from beyond the globe (see below). I am also the owner of a renowned company that served the corporate arena for two decades and my accomplishments were the result of the principles I now teach. My business memoir, Feel Free to Prosper: an Entrepreneurial Memoir of Synchronicity and Guidance, was written entirely on my Ryze network, attracted an agent and has been submitted to major publishers. I would like to invite you to read it free on my the network until a book release. It has made Ryze history with over 12,000 views and I promise you will be inspired and look at your business - and life - in a whole new way. Please visit my website and the Feel Free to Prosper Network here on Ryze (links below). Sharilee Guest BrandMyBooks.com combines the power of viral marketing with the psychology of influence as outlined by Robert Cialdini to help small businesses design viral marketing campaigns to boost their business to new levels. You can see a sample of how this works Here. Bookwise is all about personal and leadership development. Free books (Leaders are Readers! ), mentoring and coaching by some of America's top motivational speakers on life skills, business building, wealth building, tax training for home-based businesses, and relationship building. While Bookwise is an extraordinary business opportunity for those interested in building it as a business, it is just as valuable and extraordinary as a personal growth program. PM me for more details. You can see some of my other business interests in my signature file. Linda C My main site is WomenBiz-Resources. Its URL is http://womenbiz-resources.com. I have a vision and goal of taking Yellow Pages for Women nationwide. Not sure how or when, just know it is an excellent idea. I have been a member of Ryze for quite a while and I can�t believe that I didn�t find this network till now!!! I am the owner of a small marketing firm called Redknight Marketing. I also own a internet marketing training business where we teach people everything they need to know about internet marketing. We are going to be expanding that soon to teach small businesses owners how they can utilize the internet to do business locally. For now we just setup a website that gives away free squeeze page setups, but that should be expanded soon to a second part where people can build a full website online, the beauty of it is that it does not require any technical knowledge what so ever. I hope to see everyone around in this forum, thank you for being around. My company, Life's Opportunities, LLC, provides Environmental Technology Solution and Network Marketing Consulting. My goal is to help my clients change their life physically and financially, no matter what company they are affiliated with. Notice how I said affiliated and not representing...??? Believe it or not, I am still building my web site, which is very basic and still under construction. You can see my company's vision and purpose if you would like to take a look, http://www.lifesopportunitiesllc.com . Please critique because it is always welcomed. I will be working feverishly this weekend in order to have all of my content completed, pictures loaded and contact page formatted. My name is Adam Frederick. My business is in travel and showing business owners how to use travel incentives to increase their own businesses. Whether its to get new customers, retain existing customers or reward employees we have a solution for you. In addition we help individuals succeed in the scary world of networking marketing with our business coaching and direct sales opportunities. charlie f. kohn there is room for all serious activities, i think. what we are looking for is to catch the attention of the crowd and moreover those of them who like and accept our services. i am a seasoned photographer // designer // artist in madrid/spain. whoever takes interest in more information write back to me directly. extensive travel in 34 countries of this world and all of my commercial and private activities have given me the chance to collect the enormous number of about 100.000 pictures of all sorts of subjects. travel / events / people / portraits / landscapes / nature / flowers & plants / details / colour compositions / structures / aviation, you name it. postcards, series "for a better world" or "...loves you"
Emily Mott Intramar is an Australian owned and operated Freight Forwarding company, with office's in most states within Australia including an office in Auckland, New Zealand & two dedicated customer service and business development people in New York. �	To provide cost effective & easy freight solutions to move your orders around the world; primarily between USA & Australia/NZ; and USA & UK/Europe. �	To make the international shipping process both easy and rewarding. We offer both Seafreight (consolidations of LCL & FCL) and Airfreight to door, from many world ports including USA, UK, France & Hong Kong & can tailor rates and services specifically to your needs at easy to use per lb rates for delivery to your customer! Our US consolidation warehouses are in Los Angeles and New York. We have a strong working relationship with a cost effective & highly regarded road freight companies both in Australia & USA, offering fast and cost effective service throughout respective countries. Our track record is proven and customer service in integral to our operations. Cost saving for our clients rates high on our priorities & a professional working relationship is paramount. Intramar has been in operation for over 20 years and has established itself as a recognized and respected company within the Freight Forwarding industry. Intramar is the Australian representatives of the U-freight Group � with over 120 offices covering 20 counties. Together we place a direct focus on supporting the Australian & New Zealand markets importing from USA, UK, Europe and Hong Kong. mark adams My name is Mark Adams. I am a telecommunications consultant but my services is much more than that. I specialize in T-1, Ethernet, MPLS and other dedicated services. I also have wireless phones from all the major providers available with the newest plans and phones. I also offer Internet services and computer hardware and accessories to name a few of what I have. Charlie Brown Kathy...Congratulations on your invaluable "Small Business Think Tank Network" it is of benefit to all. I look forward to sharing information with your team members, that can help in bringing ones "Dream To Reality". Introduction...To all..."My Business is Promoting Your Business" off and online...Utilizing my acquired resources of 20 years as a Business Promoter, Professional Sales and Internet Marketing Expert. Making money will always be a "Mystery To Some" and a "Dream Come True" for those that put in the time and effort to understand the team infrastructure, secrets and power of strategically leveraging ones center of influence and knowledge to grow a successful business. A Professional Business Promoter can take a companies profits to the next level expeditiously without being labor intensive. I am looking to invest in a Company, Franchise, Distributorship and/or a Kiss Principle Product. Please feel free to private message me with any suggestions as some information may be proprietary and want to be held in confidence. Continued success to all, your friend i.e. Business Promoter, Investor and Network Member CB. FreedomFire Communications offers diversity, variety, and cost efficiency for voice, data, & internet services. From choices of "Best Rate" phone service, cellular phones, calling cards, high speed internet, computer hardware and software...to re-direct toll free 800 service, web hosting, website development, audio/video conferencing, broadband phone, video surveillance security systems, satellite TV, managed IT/computer help desk support, & unified messaging.....to business VoIP, IP PBX, and complete dedicated voice/data network support for T1, DS3, OC3, OC12, OC48, OC192, MPLS and Gigabit Ethernet bandwidth....and MUCH more. Our clients realize that they derive the most benefit by concentrating their efforts on their core service or product. Most business people simply do not have the time to analyze technology, suppliers and pricing alternatives in today's constantly changing telecom and IT world. We will do this FOR YOU....at NO COST TO YOU.... with the goal of identifying the most beneficial alternatives to include areas of cost saving that won't entail sacrificing service. whether you are a Business or an Individual. appreciation to the Clients of your Business. Create with Walter Paul Bebirian. What it is that You may Have in Mind! Find You Have For Photography and/or Imagery. Joan Bailey My name is Joan Bailey. Through a series of health issues, we stumbled across a nutritional food supplement and ended up so impressed, we signed up to become distributors. This is what led me to you. We focus on one product that supplies your body with the necessary nutrients to improve your immune system. We believe that our bodies were originally intended to repair itself - and with the corporate companies taking over the farmlands, our necessary foods are grown with chemicals; from fertilizers, to preservatives - thus, decreasing the natural nutritional process. This results in a 30% decline of the nutrient value of fresh fruit/vegetables. So, even if you try to eat healthy, your body just doesn't get what it needs to maintain a truly healthy system. We also want to start now to decrease the possibility of being tied to maintenance medications for the rest of our lives, and we hope to find other like-minded indivuals who are ready to get healthier as well. I hope to learn from this networking group, and gain friendships as well. My name�is Dr. Daisy and both my hubby and I are Chiropractors.� Being Chiropractors we are always concerned with our family's and patient's health.� When presented with the products from MXI we researched them and found them to be the Ultimate Antioxidant Products on the market today!! The best part is the company and all the support they give.� We work as a group/organization and that is how we grow. As doctors, we strive to educate the public on their health and are proud to be representatives of a company like this one. Make people healthy and financially successful as well.� Who doesn't want that? R&N Collins has developed a 'Ready-for-Use Website' that is ready-for-use almost instantly. According to R&N Collins lead developer Rodney Collins, a Ready-for-Use Website is easy, fast, and affordable and is an ideal way for any individual or business to establish an Internet presence. Collins also says that it is imperative to have an up-to-date, well designed website for a successful online business. However, the initial and on-going costs can be prohibitive. Many online businesses who are not in the position to spend large amounts of money on a custom built website turn to another alternative � Ready-for-Use Websites. A Ready-for-Use Website is an extraordinary product that delivers a complete package (domain name registration, hosting, actual website, content management system, and search engine optimisation). 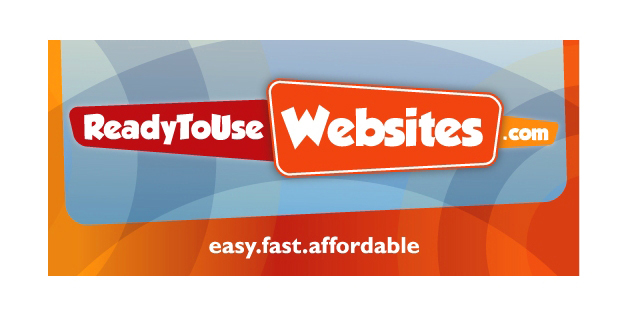 Visit http://www.readyforusewebsites.com today and get started! My Name is Vivian Butler and I am the CEO of Vivian�s World of Services. I obtained a membership from Specialty Merchandise Corporation, which allows me the opportunity to be able to promote Online & Catalog Gifts for all Occasions, all year round. My partnership with SMC, also allows me the opportunity to offer to other individuals the ability to partner with me, as Wholesale Gift Distributors. My Goal with my business is to grow in all directions. I want to promote Online Gifts and develop a network Wholesale Gift Distributors World Wide. I am a people person and I truly enjoy interaction with others. Promoting Gifts will allow me the opportunity to meet, greet & network with people from everywhere. My satisfaction is putting smiles on happy gift customers faces. I have a son of 14, dog, cat, and hamster. I am an animal lover. I enjoy reading Danielle Steel books, when I have time for it and a lot of self help business books. I love to bake cakes, cookies and pies. I enjoy sitting by the water, very peaceful to me. I work outside the home, full-time as a Medical Biller and promote my home based business at night. I also belong to Social Networking Groups, which has allowed me to meet lots of different people, either socially or professionally. My Goal with Ryze is to meet & greet, socialize and partner with other business professionals, like myself. It always a pleasure to have new friends, so please send me your email address, if you want me to add you to my friends list. I first have to boast four of the most darling grand-sugars God ever put on His green earth. Really, I swear. But then again aren't they all simply too precious for words? Cannot help myself, I am a Gramma. My first online company�took shape in�1992 with a good partner who, after three great years, tons of money made, absconded with $128,002.31 dollars of my money. If I ever find the scum, I will gleefully seek out a grizzly mob member to break his knees.� The $2.31 was the tip off, as it was an odd amount on the books. I am a web developer and do my best to be as honest a person as is possible. Please do not put me in a category with the so-called SEO expert, money grubbing, self-serving, all encompassing, we know it all, category of web developers who turn out to be the scum who take your money and give you a lame a** website and otherwise zip in return. Your chances are about 50/50 to find the real services you are looking for.� I fall into that upper 50%, the one's that deliver, in this particular scum market. Read between the lines when looking for web services. Not all are created equal. What Ryze affords us all is a place to learn about each other and search out services and products that we can use without being scammed.� Web development includes but is not limited to hosting, design, SEO, content writing, linking and marketing strategies. BEK - Brown Enterprises of KS (the Buddy Web Group is new and still in development) has been making me a nice living for over fifteen years and I hope for far in the future. I work from home and make a decent living at what I do. I don't jet off to exotic places (although that would be fun, eh?) and then bore all my friends with emails full of photos of how great it was for ME (UH, that would be fun too. )� I like being at home, working from home, and seeing my family on a regular basis. We can live, love and laugh right where we are. Let�s see, what else... OH, I am a copywriter and editor.� I started out writing tech manuals (long ago in a galaxy far, far away for the surface mount technology industry from the crash dummy point of view... that is a story for another time).� Don't depend on me to write anything flowery. It is usually not my style. Visit my Ryze page if you want to know more about my businesses and a tiny bit about my life. If you read the text, you will find how to ask me to be your friend on Ryze. After all, that is what it is all about, right? Great to meet all you Tanked Thinkers! Rich Hayes Good Morning Think Tankers! I am relatively new to Ryze. These posts are kind of like going to a Chamber of Commerce Business After Hours...lots of people and it is up to you to meet them and see what they do. I am Rich Hayes, and my company, TR Hayes and Associates helps business reduce turnover, hire honest, reliable, drug-free people, and develop more effective leadership. We are partnered with an International Company, Profiles International. More than 35,000 companies rely on Profiles International's employee assessments for selection, coaching and maximizing human capital! The more you know about your people, the better you can impact your top and bottom lines! TR Hayes and Associates is your Work Force Crisis solutions provider. Our human resource management system is designed for executives, managers and human resource professionals who want to select the right employee for the job, retain them, enhance their performance and build their leadership skills. I managed retail stores for 32 years, opening 5 locations from the bottom up, recruiting, training, and retaining associates. I know business and have been named Motivational Chairman for multiple district stores and have received numerous Customer Service and Operational Excellence Awards during my career. My wife, Trudy, and I live in the Rocky Mountains of Montana, which is my home state (we moved back here last fall). If you are the least bit interested in what it is that we do, we have some no-risk (no cost) analysis that we can do for your company/firm/business. Let us know if we can do what our company mission suggests: Better People ... Better Business! Help me set a World Record. It will make your business unforgettable. You have worked hard to build your business. You have spent all your energy, your time, your resources, your skills to bring it to life. So the most important factor is you, and your greatest reward is seeing your business take shape and get established. I have the place where you can show off your business name with pride around the world. I am making the World's Longest and Most Valuable Necklace and I am displaying it everywhere. You can sponsor a section of this and get lifetime exposure for your business. A place to commemorate your success that's exclusively yours. And you'll have fun creating this legacy. Read more on my ryze page or my website and contact me to give your business the recognition it deserves. I'm Don Bowlby and I work for Corexcel, where our goal is to link learning to performance. We offer online management courses, profiling tools and trainer resources for organizations to present courses with little or no development time. We're accredited through the International Association for Continuing Education and Training and adhere to strict educational standards. The examples above are just a few of the topics our materials cover. Please visit the link in my signature to learn more. I'm Bob Crawford, a life coach and self development trainer from Manchester, CT. I offer personal coaching and counseling and also present several seminars/workshops each month related to self growth. I also host a weekly talk show on the BlogTalkRadio.com network, which has been pretty exciting! It's great to meet so many friendly people here on Ryze. Specializing in professionals who require a high degree of confidentiality. We don't sell you hype, we don't promise what we can't deliver and we offer free consultations to anyone interested in learning more about outsourcing their administrative tasks. We've got the LOCK on confidential assistance. Linda Walker Focus Action Success offers training and coaching products and services for passionate entrepreneurs. Our clients are visionaries who see the "Big Picture" but struggle with details. Amazingly intuitive, their vivid imaginations, extraordinary creativity and unconventional thinking can be a true gift, though they're often overwhelmed with so many ideas and opportunities, they can't focus on just one long enough to realize their dreams. We have special expertise working with entrepreneurs with "Entrepreneurial ADHD". Most entrepreneurs benefit from strategies very different from those used by other people. While the labels are not important, the proven effectiveness of the specialised strategies we use to help them is. We help entrepreneurs harness their extraordinary energy and abilities to take full advantage of their creativity, high tolerance for risk and adaptability to allow them to reach their full potential. We empower them to develop new strategies to channel their energy, focus their idea-cluttered brain and overcome procrastination so they can start, organize and finish projects. Dennis Har Hello Fellow Think Tank Members! I'm Dennis Har, a full time trader from Singapore. in Algo Trading and Metastock Trading Systems development. We intention to develop a world wide Franchising Model. Any like minded partners please get in touch with us. It's great to meet and communicate with so many friendly people here on Ryze. Holly Amarandei Hi, I'm Holly Amarandei, owner of Creative Solutions Coaching. I specialize in Life, Wellness and Small Business Coaching. **Currently accepting coaching clients in the US and beyond! FREE trial session! My name is Maggie Makris, I'm a native New Yorker who resides in Corfu, Greece. I'm a Marketing Director for a yacht charter company. Come aboard on some spectacular yachts in Greece, Croatia, Italy, Russia and Germany. NOT only do we charter yachts but we also book hotels, villas, studios and provide air ticketing. We are also running a writing and advertising contest with a chance to win a round trip to the Mediterranean for week along with a sailing adventure. This is Shyam from AFC Software ( www.afc-software.com ), based out of Bangalore, India. We work on open source technologies and provide services to msme (micro small medium enterprises). So far, the customer segment has been limited to India, but would love to do the same for western firms. The USP of open source technologies is that it's available at cheap or nominal price, and hence the product or service that we develop out of open source stay very well within the affordable range of small businesses. While we are sincerely grateful to the open source communities all over the world, we would like to contribute as much as possible to betterment of small businesses. Jeff Johnson My name is Jeff Johnson and I'm the US Managing Partner for AVAX Consulting located in Atlanta, GA. We specialize in Application/Software Development and Call Center (Inboun/Outbound) Services. Below are brief descriptions of what we do. Avax has extensive experience in managing technology projects, end-to-end - From selecting tools and platforms to implementing information technology solutions. Empowered by our exclusive onsite-offshore methodology, we offer integrated technology and operations solutions that provide the benefits of superior quality, time-to-market advantage and scalability. Avax has a team of trained, highly skilled professionals providing professional administrative, creative, technical support services. Our team combines skill, knowledge and resources with computer applications, software and internet technology to create an efficient and state-of-the-art environment. Please contact me for any of your sourcing needs. Maddison Cephas EastLake Marketing Group consults small businesses on how to market products and service. I have eighteen years of creative marketing knowledge. I create marketing buzz via online and offline. The end result is reaching your target audience and you gaining more customers. View my marketing skills at http://eastlakemarketinggroup.blogspot.com Are you ready to market your business on the next level? Then contact me today. EastLake is also an authorized Kaeser & Blair, Inc. promotional products dealer. Having access to 700,000 products allows EastLake to imprint your company logo or message on just about anything. View all product, corporate gifts, and greeting card catalogs on the web site at http://www.eastlakemarketing.com You'll receive 10% off on your first order. Call now for a price quote. I'm and Independent OurGV Affiliate. OurGV is an international marketing company international marketing company that helps non-profits fundraise through a multi-million dollar mall that they can get for free to promote to their supporters. A portion of every purchase goes back to them. We also have a website partners program. Anybody and everybody has the opportunity to have a banner added to their website, which could bring additional income to that website owner or additional funds to the non profit/charity of their choice. We even offer web services for any non-profit, business, or individual. In addition to the website partners program, we have a newly launched banner exchange program. It has helped our partners get more traffic to their sites from around the world. Private Reply to Marlo T.
Im Kimberly Townsend, Managing Editor of an online Magazine called Dirt Road Promises. Please go to http://www.dirtroadpromises.com and give us feedback on our magazine. All comments will be greatly appreciated!!!! I have to say this is a wonderful idea! I think its a great way for everyone to get to know eachother and what business they have. Kudos! I'm a very busy and active mom of 6 wonderful children. I have 4 teen daughters and 2 younger boys. When I'm not chasing the children around, I'm working on my business,and making products. I have just started a business for all handmade products made by mom's to help them be at home with their families and earn an income as well. I have many consultants as well that are mom's and are wanting to be at home and still earn an income as well. We also support many charities with the purchases made from our products there are two charities a month that we raise money for. My family and the other mom's are very much into giving back to the communities and helping to make this a better world. Our products are all handmade and we do have online shows, Some of our mom's do home shows as well. We are going to be on the expo-connector.com shortly as well. We carry Candles,soaps,hand painted glassware, wax dipped bears and puppies,and coming soon a full line of baby products. I will still be adding more products to our lines as well. All of these are handmade items. I will leave you the link so you can see our site it is still under construction but will be in full force by next week. I am also looking into hiring other mom's to help with packaging our products as well as handicapped people in the area. They are treated poorly in the work place and I would love to see them in a happier environment. Please feel free to take a look at our products. Our site will be ready next week to start accepting orders. Lawrence Williams Hi my name is Lawrence, I am a newbie as well, I own a Print company and injection mold shop. I am here to see if everyone deals with the same issues I do. So hard to switch to the internet. But we will do our best. Blueprint for Life Success is a complimentary weekly tip series that will help you focus on your most inspiring goal and incorporate a weekly tip from a life coach while making real progress towards the life you most desire so you will feel happier and more fulfilled. Please enroll today at http://www.jodirosenberg.com or on my Ryze page. I am looking forward to reading your most inspiring goal. As a bonus all who subscribe also recieve a free e-course, Set Inspiring Goals. This e-course is designed to help you formulate your most inspiring goal(s) which you will achieve with the help of the weekly tip series. Strategic Tips to Live By so You'll Feel Happier and More Fullfilled. While there sign my guestbook, let's get to know each other. Trinity Harney R-Tech Solutions, Inc. is a multifaceted company that does Commercial/Residential Security Systems, Video Surveillance Equipment, Night Vision Monocular and Binoculars and Thermal Imaging Cameras for Police and Fire Departments. We also Do Medical Imaging Installations/De-Installations of Urology Suites, Rad rooms, MRI & R&F rooms, Mamo Units, Nuclear Machines and the trasnportation of the equipment. We are based in Orlando, FL. We produce quality and affordable personalized books and gifts featuring that special child in your life. We invite you to click through our website to learn more about From Me to You Personalized Books & Gifts and the wonderful children�s products we offer. Teaching Female Small Biz Owners To Get It All Done! My name is Bobbi Jo Woods and I'm the owner of B. Woods Design, a web design/development firm established in 2002. B. Woods Design is dedicated to helping you plan your website by listening to your goals and requirements and creating the best solution for you, only charging for what you'll actually need and use. Our main focus is to not only provide a great service and great customer experience, but to develop good relationships with businesses and organizations, so that we may help each other succeed. Whether your company is a small startup or a corporate enterprise, we can help! Feel free to connect to learn more about how we can maximize your business' online endeavors. My name is Pam McInnes and my business is Used Books From Pam. Since September 2006 I've been selling used books on-line at various third-party sites, such as eBay.ca and Amazon.ca. I have my own site set up as well: www.usedbooksfrompam.com. I am also a writer - working on my third novel, have won one short story contest - so my home-based business fits well with my plans to be a "best-selling author" one day :o). Thanks for your time. Any questions, please don't hesitate to ask. Derek McCrea I am new to Ryze and saw this thread and decided to join. I plan to start an art business in a few years where I teach children art in an adventure setting. I just joined Ryze a couple of weeks ago and love it! I am always looking for new people to network with, so please feel free to message me and we can connect. I work for a website called Salesconx. We are an online marketplace for people to buy and sell their business connections. Think of it as LinkedIn meets Ebay. It's free to join and you only pay for the connections you want to buy. Learn more HERE and let me know what you think! I've just discovered Ryze and Think Tank is the first network I've joined. Earlier this year I started out my own business - very exciting after working for others since finishing school 13 years ago. I've been told to network, network, network! So that's what I'm now doing. I live in a gorgeous little beach side town in Queensland, Australia and my business is home based. I am a virtual assistant who can provide time and cost effective administration support remotely. I can help other small businesses or entrepreneurs the world over with those mundane administrative tasks that are expanding by the minute - word processing, data entry, transcription, spreadsheets, virtual office management, plus more. In my past life I was a legal PA, paralegal, secretary, admin assistant. It's great I am now able to use all of these skills in working for myself. If you are in the Northern Hemisphere, I can literally do your work while you sleep - how efficient is that! Your Extra Office Virtual Assistance - Juggling your needs... Virtually! I am Greg Cryns. I run another Ryze Network and many websites. This looks like a great place to hang out while sipping some hot coffee! Shane Goggans Hi, I am Shane Goggans managing member of Goggans LLC, a family owned construction services business in central Alabama. We offer service solutions to commercial GC's as well homeowners. Since the start of our company we have used only word of mouth advertising, but recently deciding to expand I have decided to start marketing myself. I started by designing a web site at www.goggansllc.com and would love any feed back that anyone could offer. I look foward to meeting people here and exchanging ideas. Jess Segour Hi I am new here but I better start by posting in this member list so you will be able to find me next time. My name is Jess and I have an e-store retailing children clothing, accessories, baby gifts, edutainment and health products. My clothing are all of high quality from the UK and USA. Feel free to look around or shop. You will be amazed. Thank you. Anthony Jones I'm Anthony Jones of ABC Solutions, a business development company that works with businesses by providing a) performance based consulting services b) comprehensive and interactive workshops and c) unique methods to achieve business funding without credit or collateral. Was your dream to be your own secretary? If not, delegate to a Virtual Assistant and prosper! The implementation of effective, low cost administrative solutions are essential to the productivity of any business success! Allow FabulousHelp.com to be an extension of your company by implementing our track record of increasing productivity for our clients, using thorough and organized administrative procedures and keen attention to customer service and detail. Using the virtual services of FabulousHelp.com will allow you to take hold of your office again and focus your attention on the more important aspects of growing your business! FabulousHelp.com provides extreme professionalism and organizational skills to help reduce stress and afford you the time to meet your goals and deadlines. I am the owner of Sense-Sational Massage. I am a Certified Aromatherapist, using Aromatherapy not just for a relaxing aroma, but also for health and well being. If you live in Southern Maine or plan to visit give me a call. My name is Beth Pitard and I own Scentsational De'Lights. I make richly scented hand crafted candles & more. My products are made YOUR WAY and are perfect for weddings, showers, fund raisers, birthdays, anniversaries and more. If you are looking for custom made candles that burn completely and with no soot, please contact me. I operate a fairly new home-based business distributing Shaklee products. Shaklee has been in business 52 years and is the #1 Natural Nutrition Company in the U.S.
Their standards for supplements/vitamins, safe cleaning products, weight loss products and water/air purifications systems are superior to many companies. Please check out the websites if you'd like more info and feel free to contact me with any questions. and ALL Industies business cards Online!! My name is Paula and I am new here and to Ryze as well. I am looking foward too meeting you allmore here and learning any and all tips as well. I rep with several businesses. From home decor, kitchen products, gifts, stationary and more gifts! Feel free to look around or shop. Neat products! Lana Vivant Hello, I'm Lana - company owner and designer for Bon Vivant Baskets. Why order from Bon Vivant Baskets? High Quality Gift Baskets for all your Personal or Business needs. Diane Dohrn Good Morning Everyone! I am also working the following with great success! Thanks for this opportunity, Kathy. Debbie Elicksen My company provides publishing support to companies that produce books to market their business. We help those who are time-stressed and want to produce a quality product. In other words, we're the lap people dump their manuscripts in to make their books come true. Our job is to produce a professional looking, well-edited product that leaves a positive impression plus make the process as seamless as possible. An advertising & marketing company that knows, understands and puts into practice guerrilla marketing and advertising techniques for our clients to achieve consistent and desired growth. Our speciality is New Account Acquisition and Target Marketing. We take telesales, target marketing and guerrilla marketing put together and flavor it with our one unique Larson style of doing business. It is not advertising, not marketing, not telemarketing. We are not a manufactures rep service, but a way for you or your compnay to gain new accounts and grow your business. I design synergistice marketing programs for professional speakers and small buisness entrepreneurs seeking to penetrate high-profile niche markets. As I see it, one of the challenges regarding online business networking is the development of meaningful business relationships. It's relatively easy to develop a large Ryze Friends List over time. But, to develop a truly meaningful and mutually beneficial business relationship with those "friends" is something else again. It can be very time-consuming and even frustrating. I have been reading a lot lately online about netweaving and pursuing big ideas by taking a small and targeted approach. Did you see the movie some years ago entitled, "Pay It Forward?" That was a fictional account of a young boy who simply decides to help three people. In return for giving help to just three people, he requests those he helped not pay him back but "pay it forward." That is to say, each person the boy helped in turn helps three more people...and so on. Well, while the movie and the book that inspired the movie were fiction, the Pay It Forward Foundation is very real and today operates in countries around the world. The foundation actually uses young people to engage in "pay it forward" activities to improve communities. More recently, a fellow named Bob Littell has taken the "pay it forward" concept and applied it to the commercial business world, what he calls "netweaving." You might call his idea the Golden Rule as applied to business networking, what goes around comes around, or my personal favorite - "Good things happen to those who help MAKE good things happen." In the best tradition of business netweaving, I have recently set up a SIG (Special Interest Group) called Clusters. This SIG is basically a forum where people who CARE about the success of others, can CONNECT with folks seeking help and come up with a GOOD DESIGN that actually benefits all those involved. If you would like to be a virtual mentor in this system to just FOUR of these folks, send me a private message. Perhaps you can show four people a better way to work their way to success and reap benefits for your business in the process? Doug McIsaac I'm a business coach and entrepreneur. Currently I have several web businesses and am brokering a couple of others. We have free videos and audios to help local businesses market themselves online and I'm currently in the second week of a free 12 week online marketing teleseminar series. I'm not currently taking private coaching clients, but if you have something interesting going on I may make an openeing. Luz Burns Hi we are Luz and Theon Burns, wife and husband. We own our own online business. Our products consists of health foods and other consumable products. Shakun Narang I am Shakun Narang originally from India, but at present in Singapore working as a full time mother and SOHO representative of Bangalore, India based IT and ITES specialist recruitment company ShiKshaplanet. Danna (Angel) Williams-Scott Hello! Just wanted to introduce myself. My name is Danna Williams-Scott and I have just become a small business owner while working a current full-time job with hopes of pursuing my own business full-time as soon as possible. I am very interested in networking with business owners who are the same as me, or long time business owners with whom I can learn from. * SMS services which include SMS integration into applications and websites. We Make Wet Basements & Crawlspaces Dry! I like to help folks with all kinds of Home Maintenance issues especially water intrusion issues. We are changing the way people feel about the waterproofing industry. training. I want to talk to like-minded folks about business, life, ideas, etc. Together, we really can change the world! Jean Granger Hi, my name is Jean Granger, owner of Virtual Design Business Solutions. A virtual assistant company that specializes in Internet Marketing and Web Design. I provide other services such as; graphic design, desktop publishing, and office administration. I am also a certified Article Marketing Specialist. I am offering a Free One Hour consult to new clients. Ken Lee As a independent sales rep for Local Ad Link, I have the great homor of helping small businesses throughout the US to drive more of their target market into their stores. Sixty nine percent of Americans do internet searches before we go shopping. My business offers you quality content, a fixed rate and geotargeted visibility, not on one search engine but over 100 of them. When a prospect goes online and searches for someonne in your business category, do you want to chance that he will find you or be found near the top of the screen? I created a new company related with Internet Advertisement, we had some time in the market and we are trying to get the top rank in Google with our SEO strategies. Abad Perez My name is Rev. Abad Perez. I am a priest with the CEEC. I do affiliate marketing in order to support my ministry. If you have affiliate marketing opportunities, please send me a freindship invitation and then let me know about the affiliate opportunity you have to offer.